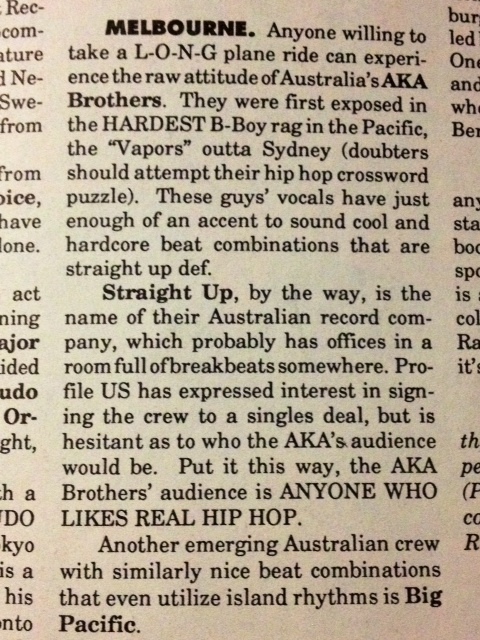 A.K.A BROTHERS – The Source Magazine 1990. Posted on August 19, 2014, in GRAVY & SOURCE. Bookmark the permalink. 1 Comment. That’s crazy! I’d heard vague rumours about this years ago but never anything concrete… Unreal!